Revitalizes feet with fungus-fighting ingredients. 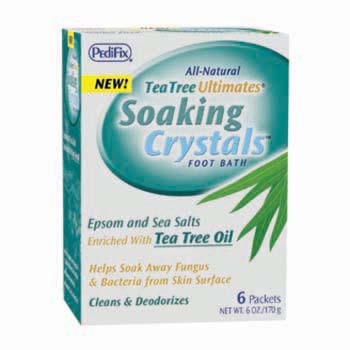 This therapeutic foot soak features our exclusive blend of tea tree and peppermint essential oils, epsom and sea salts. The invigorating soak soothes aches and pains, relieves itching and softens corns and calluses while fighting fungus and bacteria. Leaves feet feeling refreshed, clean and smelling great!